Therea��s nothing like live music to wake you up on a lazy Sunday and Monkey Bara��s Breakfirst Shift is the place to be if thata��s how youa��d like to break bread. The monthly breakfast gig is a way to slip in some extra music and chef partner Manu Chandra says ita��s a great way to add value to the already popular Sunday spread at Monkey Bar, Indiranagar. a�?Since the Sunday breakfast is popular at our Indiranagar outlet, we thought wea��d add to our customera��s experience by bringing in musicians who fit Monkeya��s Bara��s bill. So you can expect lively, light-hearted music that doesna��t kill the mood of a happy meal,a�? he tells us. Chennai-based Roe Vincent will be take centre stage this Sunday. A playback singer and vocal arranger, Vincent has worked with top names in the Tamil film industry a�� right from the legendary A R Rahman and Anirudh Ravichander to Harris Jayaraj and D Imman. a�?The great thing about working with established people like them is that they treat you with respect, even if youa��re just starting out. Because, with them, ita��s all about the work,a�? shares Vincent. Vincenta��s roots however lie in pop, hip-hop, R&B and jazz with a special focus on gospel music. a�?Bangalore has a better crowd with regards to receiving my kind of music, as compared to Chennai. So Ia��m really looking forward to the event,a�? says Vincent, who also has her own pop-rock-funk band Overtones and a vocal music group called El Se. Diners can expect a lively mix of Meghan Trainor, Chris Brown, Usher, Michael Jackson, Rihanna and Katy Perry, with a few of Vincenta��s originals, including Love Me Harder and Dance With Me, both of which are upbeat dance numbers and Yours Forever, a love ballad. 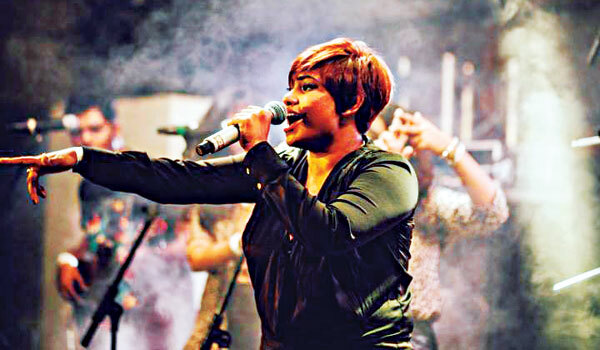 After a successful rendition of Neetho Alaa in the Telugu version of runaway hit OK Kanmani, Vincent is next planning on launching her own album of Tamil and English songs and is working on a few films with Ravichander and D Imman. June 28. 10 am. At 12th Main.